Choosing a custom builder means you can look forward to a home unlike anyone else's. Unique in every way, your custom home will be wonderfully different from any home you've ever owned. When it comes to financing, though, the home buying process is no different. You’ll still want to find a lender you trust, allow them to check your credit, and submit proof of your finances. They’ll pre-approve you for a certain amount and you can start shopping and finalizing the details. Still, the following points can help you understand a bit more about your mortgage and the lending process when it comes to your custom home. Most lenders who are happy to lend money to those working with a reputable custom builder. With decades of experience building homes and developing successful communities, Augusta Fine Homes has a good reputation. As long as you work with a lender that handles new construction loans, you’ll go through the same qualification process as everyone else. Essentially, borrowing $750,000 for a custom home is the same as borrowing $750,000 for a resale home. Before going to the bank for an official mortgage pre-approval, many prospective home buyers estimate how much they think they’ll qualify for using a mortgage calculator. Occasionally, people overestimate the amount the bank will approve. Those with higher income levels often receive sizable bonuses throughout the year. This can increase annual income by tens or even hundreds of thousands of dollars. Unfortunately, banks don’t always include bonuses in their salary calculations. The same is true for overtime pay, even if it's regularly received. This means the bank’s calculations of your annual salary are less than your own. Getting pre-approval from a bank gives you a realistic look at how the bank sees you. While 20 percent is often thought of as the gold standard when it comes to down payments, many Canadians opt to purchase their home with only the required five percent down payment. Those buying luxury custom homes need to be aware of the down payment rules for homes exceeding $500,000. Since mortgages at this level are a bit riskier, the government requires you to pay at least 10 percent down on any amount over $500,000. For example, if your home cost $850,000, you’d have to pay five percent of the first $500,000 ($25,000), then 10 percent on the additional $350,000 ($35,000) for a total of $60,000. There are different types of construction mortgages. A completion mortgage is one you take on the day you receive possession of the home. You’d get this type of mortgage if you purchased a resale home or if you choose a quick possession home that’s already finished. Most people who build custom homes, though, must get a draw mortgage. In this case, the builder receives money at different stages of the building process, and the homeowner is responsible for the mortgage from the moment the builder breaks ground. In between stages, the lender requires inspections to make sure the builder is following all building codes. 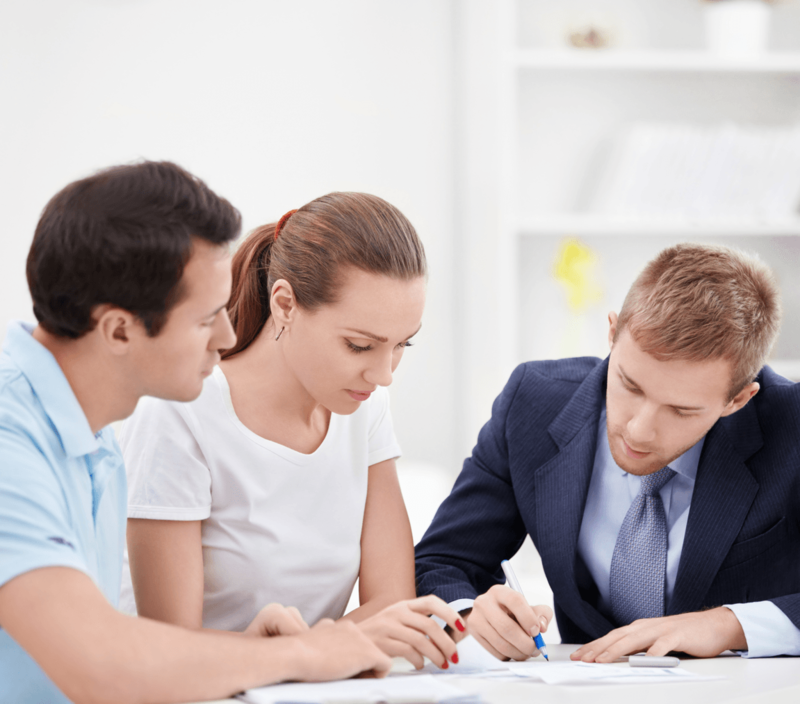 Draw mortgages can be complicated, especially with the red tape involved with getting those inspections throughout the process. That’s why many borrowers like to work with the builder’s preferred lender. A preferred lender is extremely familiar with the process and will usually have the money for the next draw ready to go. You’re free to use any lender you choose, but a lender that doesn’t always fund new construction homes may be a bit slower with the funding. This can slow down the overall process. It’s natural to fret a bit when it comes to financing your dream home, but with an experienced builder and lender on your side, you'll have no troubles at all.